Okay, maybe even go ahead and write that in. 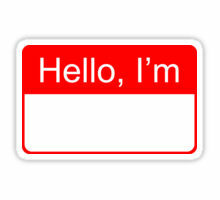 At the very least, your name tag would start some interesting conversations! « And Then Jeremiah’s Grandma Said….